No matter your niche, there are certain topics that always get people’s attention. 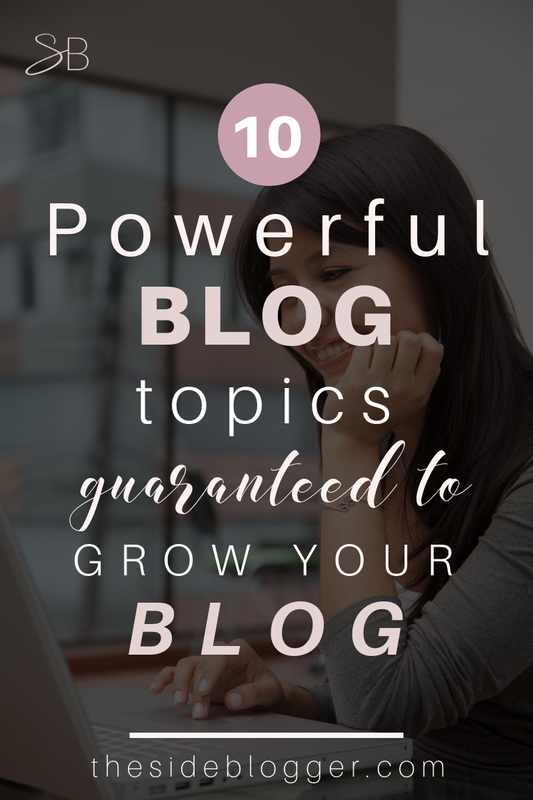 As a blogger, it’s a good idea to have a few posts on these topics handy. If you’re busy or haven’t had a chance to write an elaborate blog post, you can just bring out one of these canned posts out, hit publish, and voila! The good thing about these types of posts is that, even though they’re not unique in any way, you can still tailor them to your specific niche, and they will look and feel as though they’re unique. The idea is simple: have a number of these evergreen topics at your disposal, and then when the time calls for it, simply fashion the posts with content specific to your niche. 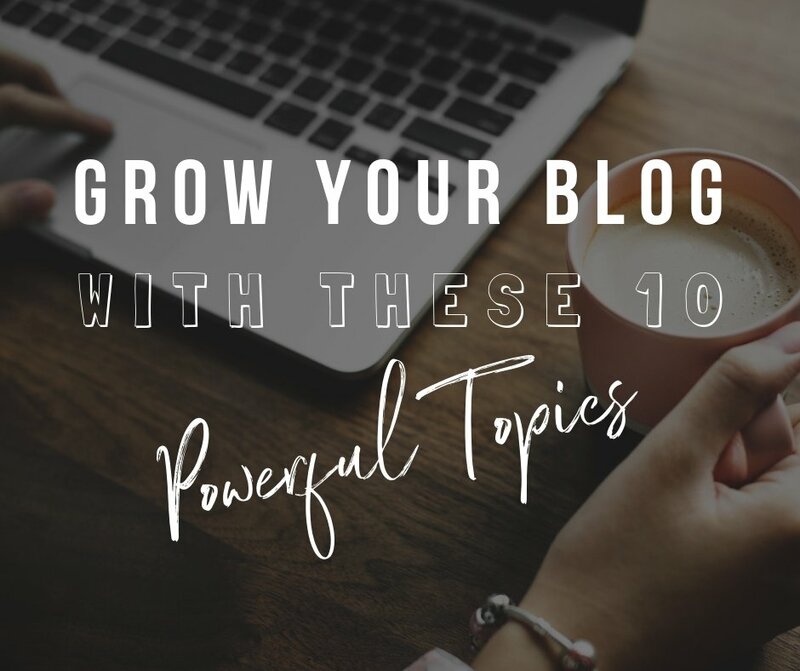 Today I’ll be sharing 10 such post topics for when you don’t have the time to think up complex topic ideas, but you still want to write something that will be valuable to your readers. Not many things have as big of an impact on a person as fear does. It also makes for a great read when you tap into this fear. Think about what your typical reader is fearful of. For example, do you have a blog where you share tips and tricks to living a healthy and vegan lifestyle? What could a newbie to vegan diet be fearful of? Maybe they’re not sure how they could be getting all required vitamins and minerals without eating animal products? Can you write a blog post that expels this fear? Write up a few tips and tricks to having a balanced vegan diet, and I’m sure it will be a super hit blog post! You see, the idea of writing a blog post that taps into the readers’ fears isn’t anything new. However, it’s a legit topic that your readers can benefit from. You can find such topics no matter what niche you’re in. When you have some time, make a list of things that your readers are fearful of, and then write about them periodically. It’s a great way to not only helping your readers but to also drive massive traffic to your blog. Pro tip: See if you can pair up such a blog post with an opt-in freebie, such as a checklist or a workbook. Kill two birds with one stone! A popular topic will drive traffic, and the freebie will incentivize your readers into converting to subscribers! Again, no matter your niche, there’s always something to be found that may be newsworthy to your readers. Can you think of something newsworthy in this niche that readers will gobble up? How about a recent report on how animals are treated which may convince some meat eaters on the fence of veganism to turn vegan or at least empower those who are already vegan in their belief that they’re doing the right thing by avoiding any and all animal products? If nothing else, people LOVE reading about controversial things. They may not agree with you, but they’ll read your post anyway! You may even get some angry comments, so make sure to thicken your skin in preparation. But well, having a thick skin is a virtue for a blogger, so nothing’s lost here. What kind of posts are deemed controversial? Let us go back to our fictional vegan diet blogger here. Let’s say our blogger is having a hard time coming up with an interesting topic for the day. Then she remembers reading this blog post and decides she’ll write about something controversial. How about a blog post suggesting it’s OK for vegans to eat eggs that come from humanely raised, cage-free hens who were never fed anything questionable? You can see how this could be VERY controversial, right? I know a few vegans and let me assure you, these folks would be FURIOUS just at the very suggestion of eating eggs. Pro tip: Always make sure to protect yourself. It’s one thing to blog about controversial topics, but you don’t want to come off as thoughtless, or worse, dishonest. When you write about such topics, always add a note about how you’re not necessarily suggesting that all vegans should start eating eggs, but that you, personally, think it could be OK. Be humble, and be respectful of your readers. And again, developing a thick skin should come handy. Our friendly vegan blogger probably has a few readers who’re struggling to stick to a vegan diet because they don’t like to eat vegetables. How about scouring through the internet to find some unique vegan recipes that do not make one feel like a goat chomping on grass day in and day out? How about preparing a meal plan for the readers, and offer it as an opt-in freebie? 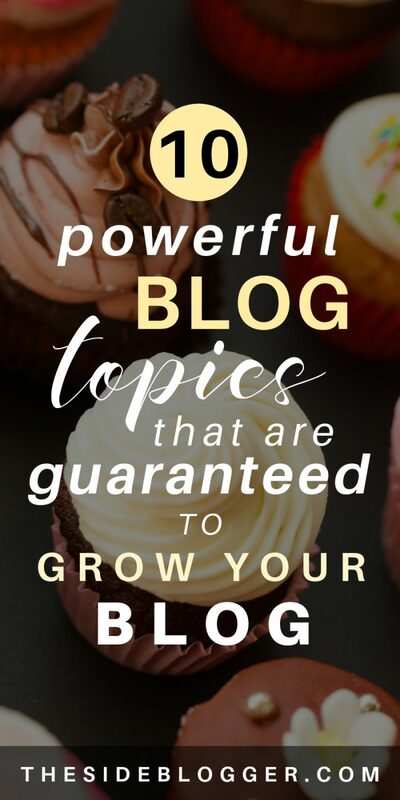 The thing about such posts is that if you can come up with a problem that’s quite persistent among a lot of your readers, offering a solution to such a problem will make your blog post an instantaneous hit! This is always a great filler blog post, and helpful too. This comes in many shape and form. Joanna from A Cup of Jo has a list every Friday of things she’s found interesting. Since hers is a “lifestyle” blog with no particular niche (OK, maybe fashion and motherhood, but really, she a little bit about everything! ), she just rounds up all her personal favorite things that may or may not serve as a “resource” but hey, it’s a list! If you have a niche blog, you can totally use the same formula (like, maybe a weekly list post of useful resources?) and come up with your unique list of resources that will help your readers. Sharing a personal story does a few things. It makes the blogger look more real and more human to the readers (and not just a highly intelligent robot in disguise). Personal stories make readers feel connected to the human side of the blogger. And often, it can give the reader a sense of belonging. For example, perhaps our favorite vegan blogger faced a lot of scrutinies from her friends and family members when she first decided to stop eating or using animal-based food and products. Guess what? Chances are, a lot of her readers likely went through the same or going through the same at present. Sharing such intimate details of the blogger’s personal life can make these readers feel like they have found a safe space where they are understood. Back to our vegan blogger. It may be a good idea to remind readers from time to time, why they chose to become vegan in the first place. Make a case for the cause, and take up the responsibility to spread awareness. Think of this as equipping your readers with weapons. Weapons of knowledge and wisdom. Imagine a scenario where one of your readers is being scrutinized for his choices. Just saying that he finds eating meat cruel isn’t enough. Give your reader solid evidence backed reasons as to why it makes perfect sense to be a vegan in this day and age. After reading your blog post, your reader should be able to dive into any and all argument against veganism and come out the other side as a winner. You can use this sort of post practically for any and all niche. Better yet, pair up your post with an opt-in freebie — like a list of all main pointers, for example. Money is life guys! And while there’s a common saying that money can’t buy happiness, I would like to argue and say that it does, in fact, can to a degree. Imagine this: let’s say you’re the significant other of our vegan blogger. And while you yourself are not vegan, you do your best to accommodate your partner. But there are days when you want to just get the hell away from the house and eat those juicy steaks to your heart’s content while your partner is raising up a storm on her laptop writing up one vegan recipe after another. Now, if you didn’t have money, how would you be able to do that, huh?! Ridiculous exaggerations aside, there are a lot of ways you can tie in some money saving tips into your niche. Vegan blogger? No problem. Write a blog post about how to budget for your vegan groceries that can save a couple of hundred bucks every month while not compromising on the quality of the food. Fitness blogger? No problem. What are some heavy duty fitness routines you can follow at home, without spending the big bucks for expensive equipment or gym fees? 9. How to be a Blogger? There can never be enough blog posts about how to be a blogger. The reason this works, even though every blogger has one or two of these posts regardless of niche, is because every blogger has his or her unique way about doing this blogging thing. So, while you’re not writing anything new or reinventing the wheel per se, your unique way of looking at the whole blogging thing may just spark something inside your reader. Blogging is gaining in popularity really fast. And for good reasons too. If you write a blog post about how to be a blogger, consider following it up with how you make a living (or at least make some money on the side) with your blog. These two topics go really well together. Well, that’s it for now, guys! You can never go wrong with these 10 topics, trust me on this! Just make sure to add your own unique spin to these topics, and readers would love them and share them and help you grow your blog. Good luck, and if you have topics that you swear by, and you think could be good additions to this list, do share in the comments. I like this post, Maliha. Awesome tips. And I like your sub-headings, they are simple, and anybody could catch the concept of what you’re saying immediately. Thanks, Isaiah, glad you liked it.